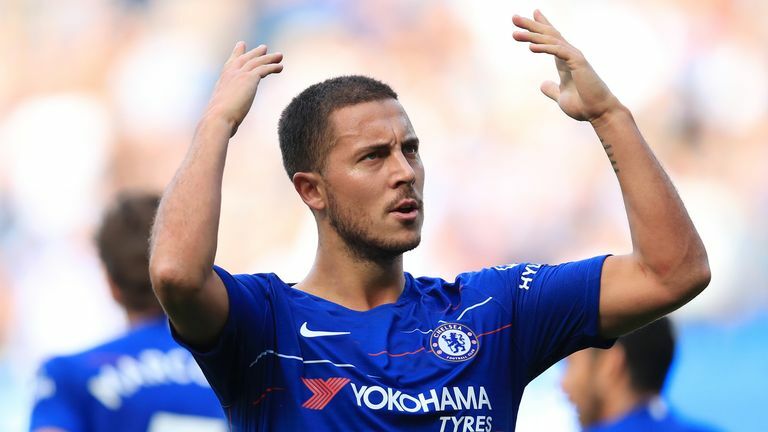 Eden Hazard is nowhere near his prime yet, despite an impressive start to the season and an outstanding World Cup, according to Danny Higginbotham. The Belgium international scored a hat-trick in Chelsea's 4-1 win over Cardiff on Saturday and now has five goals in as many Premier League appearances this campaign. Eden Hazard has not travelled with Chelsea to Greece where they will get their Europa League campaign underway against PAOK. Higginbotham is convinced the best is yet to come from the playmaker, however, insisting: "I don't think he is anywhere near his prime yet. "He's an incredible player, a world class player, who is performing unbelievably well. "When you watch him play, no matter how many times he gets kicked, or however many times he gets fouled, he just gets on with it. "I think he understands that is just part and parcel of football. He is an extraordinary footballer who we are very fortunate to have in the Premier League and who Chelsea are very fortunate to have. "He is a player who just seems to get better and better and I don't think he is anywhere near his prime yet." Hazard has remained in England after asking to be left out of the squad for the Blues' Europa League game against PAOK in Greece on Thursday. The 27-year-old played a key role in Belgium's advance to the semi-finals of the World Cup and Sarri has been careful not to overuse one of his key players. Hazard started on the bench in Chelsea's opening two Premier League matches of the season and will now be rested for the Europa League Group L game in Thessaloniki, a move that Higginbotham has backed. "I think you have to look at how Maurizio Sarri likes to play. It is very much fitness-based, 100mph, the way they press, the way they get forward," he added. Does Europe affect PL form? "I think he has probably looked at it and thought 'can we bring him in slowly but surely, let's get him up to speed for the style I want to play' and that's what he has done."